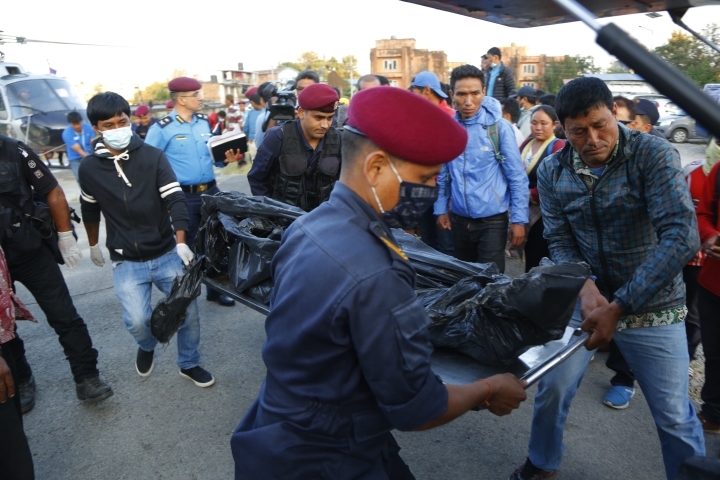 KATHMANDU, Nepal — Rescuers hampered by difficult, remote terrain took two days to recover the bodies of nine climbers, including one of the world's best, who hoped to map a new route to a Himalayan peak in Nepal that hasn't been scaled in eight years. 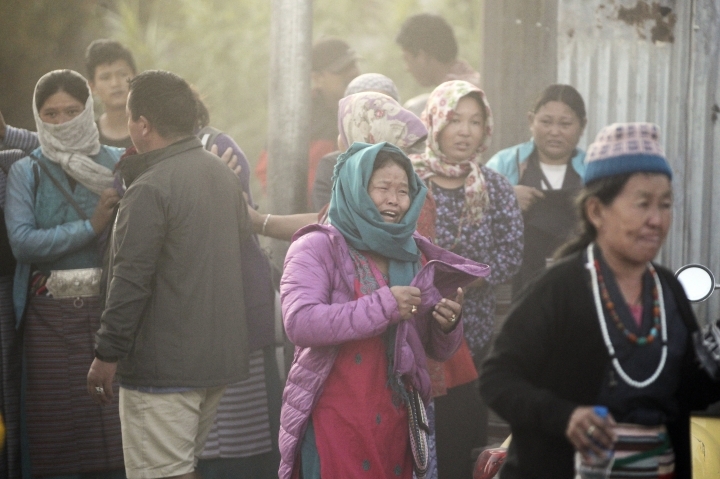 Local police chief Bir Bahadur Budamagar said a group of villagers reached the climbers' devastated campsite on Saturday on Gurja Himal, a less-popular but pristine mountain in the shadow of Dhaulagiri, the world's seventh-highest peak and a day's walk from the nearest village. The climbers included Kim Chang-ho, the first South Korean to summit all 14 Himalayan peaks over 8,000 meters (26,250 feet) without using supplemental oxygen, who was leading the expedition with four other South Koreans and four Nepalese guides. A sixth Korean climber had become ill and was in a village far below the base camp during the storm. When the members of the expedition team broke radio contact and went silent, the climber, who has not been identified, called Wangchu Sherpa's Trekking Camp Nepal agency in Kathmandu, which equipped and organized the expedition. The agency, in turn, called Global Rescue, a Boston-based travel risk company insuring four of the Korean climbers, notifying them of suspected fatalities on the mountain, according to the firm's chief executive, Dan Richards. Though the climbers had planned to summit a new route on a challenging mountain, Sherpa said he didn't have any particular reason to be concerned. It wasn't one of Nepal's giant peaks, and since achieving his record summit in 2013, Kim had been concentrating on climbing routes that hadn't been tried before, Sherpa said. Wangchu Sherpa of the Trekking Camp Nepal agency in Kathmandu, which equipped and organized the expedition, said since achieving the feat in 2013, Kim had been concentrating on climbing routes that hadn't been tried before. Nepal offers hundreds of mountains to climb, and mountaineers generally choose those where the routes and conditions are well known. Only 30 climbers have ever reached the peak of the 7,193-meter (23,590-foot) Gurja Himal, government tourism director Surendra Thapa said, and Kim was not among them. Many climbers are discouraged from the mountain at least in part because of a legal requirement to have at least three trained Nepalese guides along to receive a permit, Thapa said. "These people like to go to mountains which are not crowded and there are no commercially organized expeditions of big groups. On the bad side, they are also far from getting help when in trouble," said Jiban Ghimire, who organizes expeditions for the Kathmandu-based company Shangrila Nepal Trek. The damage to the climbers' bodies, including broken limbs and smashed skulls, indicated a violent wind carrying chunks of ice swept them away from their camp site, Budamagar said. The bodies were found spread in a 1.5-kilometer (1-mile) radius. "The battered pieces and tents and other equipment were scattered even further away," Budamagar said. The bodies of Kim and four other South Koreans who were killed will arrive in South Korea on Wednesday, according to an official from South Korea's Corean Alpine Club. 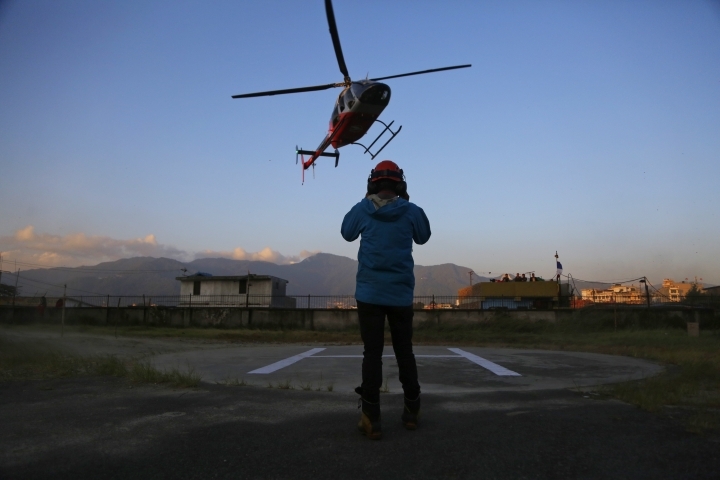 Rescuers retrieved the climbers' bodies on Sunday after the weather cleared. 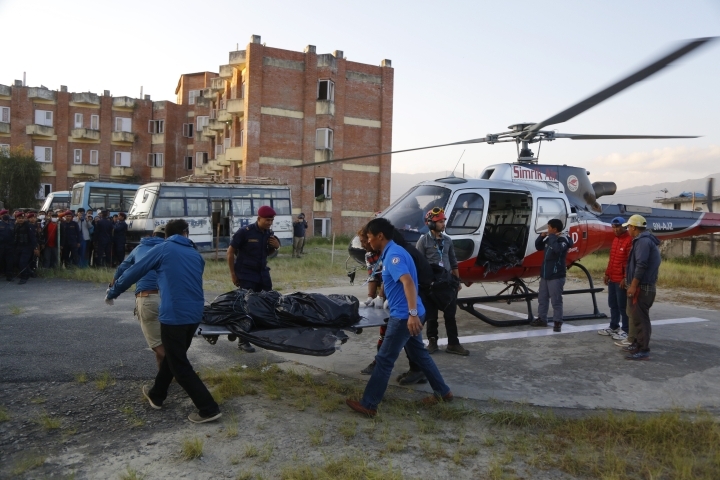 The body of one of the guides was taken to his village, while the eight others were flown to Kathmandu. "It was the worst mountaineering disaster in Nepal in recent years and an unimaginable one," said Rameshwor Niraula of Nepal's Mountaineering Department, which issues climbing permits and monitors expeditions. Niraula said officials were still gathering details of what exactly happened, but from what rescuers described, the climbers were blown over by the blast of the blizzard-like wind conditions. Word of the destruction got out Saturday morning and helicopters were sent. They were not able to land due to the continuing bad weather but spotted the bodies. Spring and autumn are the optimal climbing seasons in Nepal, between the harsh winter and summer monsoon. The Corean Alpine Club official, who didn't want to be identified because she wasn't authorized to speak to reporters, identified the other South Korean victims as Yu Yeong-jik, Im Il-jin, Jeong Jun-mo and Lee Jae-hoon. Yu was reportedly in charge of equipment for the team. Im was a filmmaker who specialized in documentaries of mountain climbers. South Korea's Yonhap news agency said senior CAC member Jeong wasn't part of Kim's team but was visiting them when the accident happened. The Himalayan range includes all 14 of the world's peaks that rise above 8,000 meters (26,250 feet), and only a few dozen climbers have made verified, successful ascents of them all. Kim achieved his feat in 2013. Schmall reported from New Delhi. Associated Press writer Kim Tong-hyung in Seoul, South Korea, contributed to this report.